1966 was a cool time so it is apt that Stony Mountain Ski Area was founded in that era. Gary, Heather & Camryn (since 2000) Dewar purchased Stony Mountain in 1988. We were inspired after the Calgary Olympics! 24 years later and lots of changes in skiing and snowboarding here we are! Stony Mountain started 44 years ago when John McFarlane, Ted Bancroft, Bob Stewart and Charles Williams had a vision to bring skiing to the prairies close to Winnipeg. These pioneers had the foresight and wherewithal to design a ski area on the east escarpment of Stony Mountain. They designed and made their own lift system – 2 rope tows and also installed lights to enable night skiing. In 1972 they installed snow-making,which was a rarity at most ski areas back in that day. Stony Mountain is the 2nd longest operating ski area in Manitoba! In 1966 they moved in a building that became the Day Lodge for the ski area. They then opened Stony to the public for skiing. Alpine sports have changed dramatically in 40 years but the need for recreation and activities for families and youth is even more important in 2008. We offer lesson programs for kids of all ages from 3 – 93 in skiing and snowboarding. 2010 is going to be an exciting year with the 2010 Winter Olympics in Vancouver-catch the fever close to home!! While Stony is known as “Manitoba’s Snowboarding Capital”, we still have skiing for those who like TWO boards. Our Junior and pre-school programs are very popular and fill up quick. We have the Salomon Snowblades available for you to try out. These skis are 90cm and ski like a combination of skating, inline and skiing. They are easy and lots of fun!! 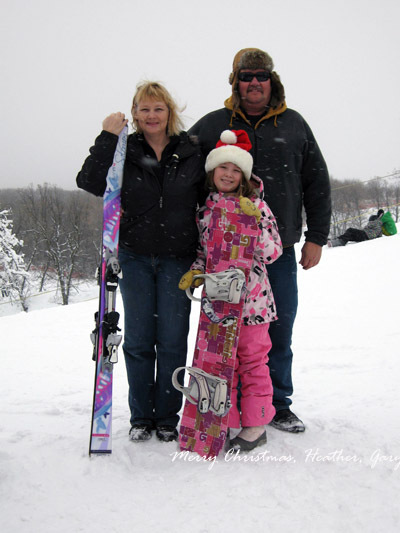 Check out our numerous ski packages and programs for pre-schoolers right up to seniors. Our rental shop is equipped with Salomon and Burton boots, bindings and snowboards and skis. Book a ski party for your school, group or bring out the family!! Snow fun close to home in a safe and affordable environment is what we at Stony are famous for!